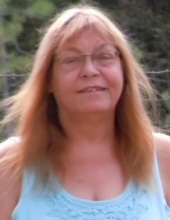 Cheryl Lane, 60, of Monarch, passed away January 31, 2019. Per her request, no services are being held. Cremation has taken place under the direction of Schnider Funeral Home. Cheryl was born July 23, 1958 to Don and Carline Grena in Great Falls, where she attended school. She enjoyed spending time with family, campfires, and also loved to quilt. Cheryl is survived by her husband Stan Lane; mother Carline Haven, son Kevin Jackson; step-daughter Tammony Yarber; sisters, Carla Sorter, Debbie McGarrah; brother Doug Grena; step-mother Norine Grena; grandchildren, Jacob and Caleb Spencer and great-grandchild Ryan Spencer. She is proceded in death by her father Don Grena. To plant a tree in memory of Cheryl Anne Lane, please visit our Tribute Store. "Email Address" would like to share the life celebration of Cheryl Anne Lane. Click on the "link" to go to share a favorite memory or leave a condolence message for the family.